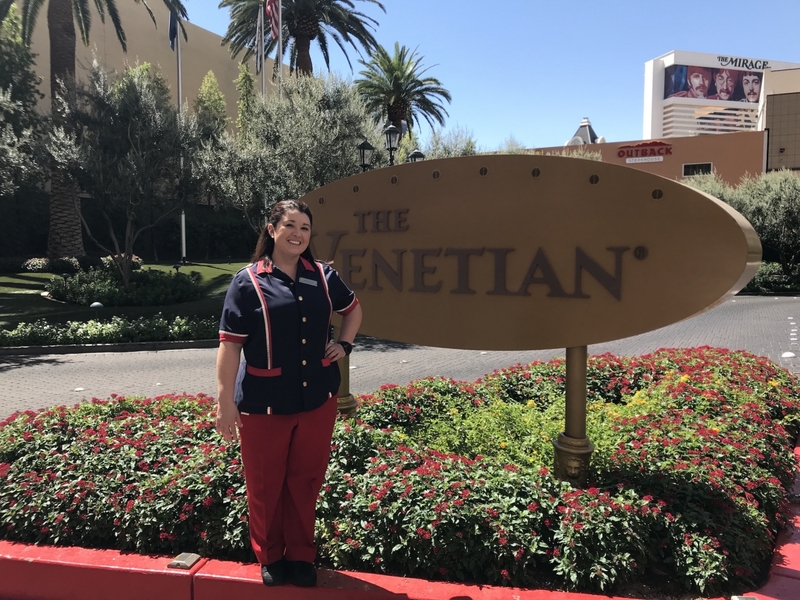 In her role, Rieker is responsible for maintaining traffic flow in the valet area in front of The Venetian, facilitating guest interactions, ensuring arrival and departure amenities for guests are provided and maintaining overall guest satisfaction and experience. With weekends being the most hectic for her department as they maintain the traffic in and out of the resort, she must also continue to keep communication with her teams in order to make everyone’s experience as seamless as possible. Rieker manages over 450 Team Members and leading by example has become her main focus, but also understanding what she can do differently to accommodate her Team Members and guests at the same time.